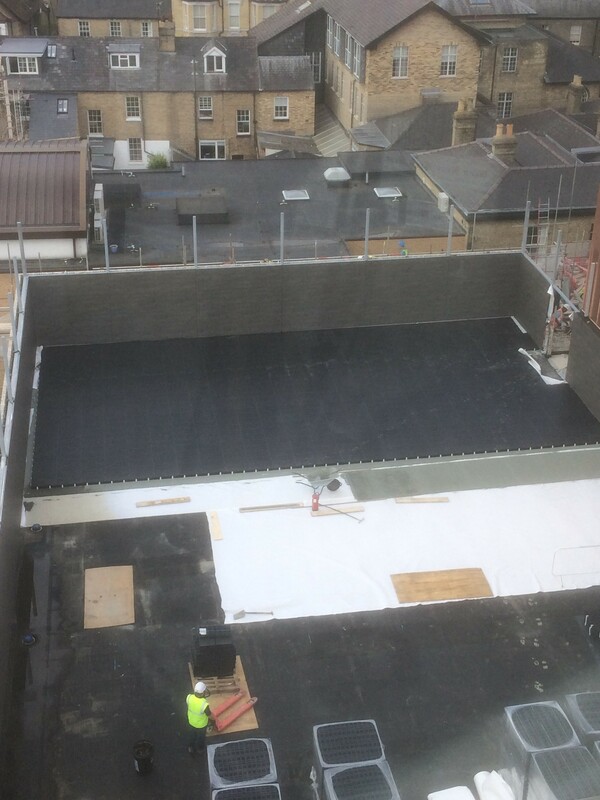 The Stephen Perse Foundation aimed to enhance their learning spaces and deliver cutting edge facilities for science, technology, engineering, mathematics (STEM) and sport by installing ‘Cambridge’s first rooftop multi-use games area’ on top of their new Senior School in Cambridge. 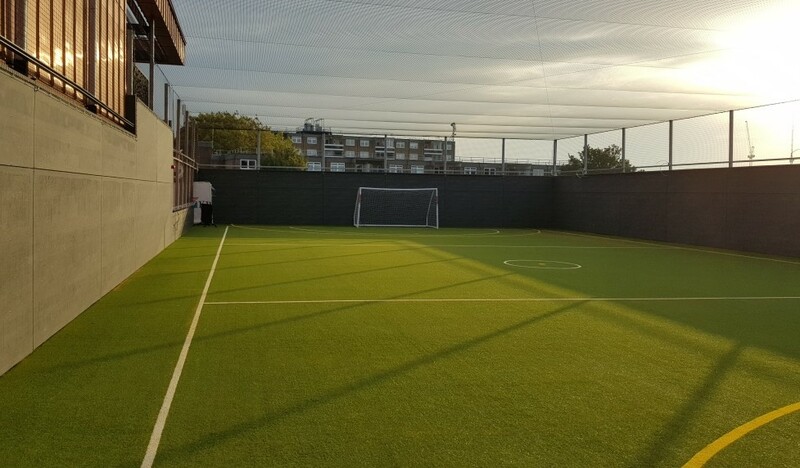 SELSports designed and installed a 620m2 state of the art rooftop sports facility, incorporating an innovative lightweight subbase drainage system comprising specialist shallow drainage cells with a high void ratio, allowing large volumes of water to freely drain from the surface into the subbase, where it is released through a restricted rainwater outlet. 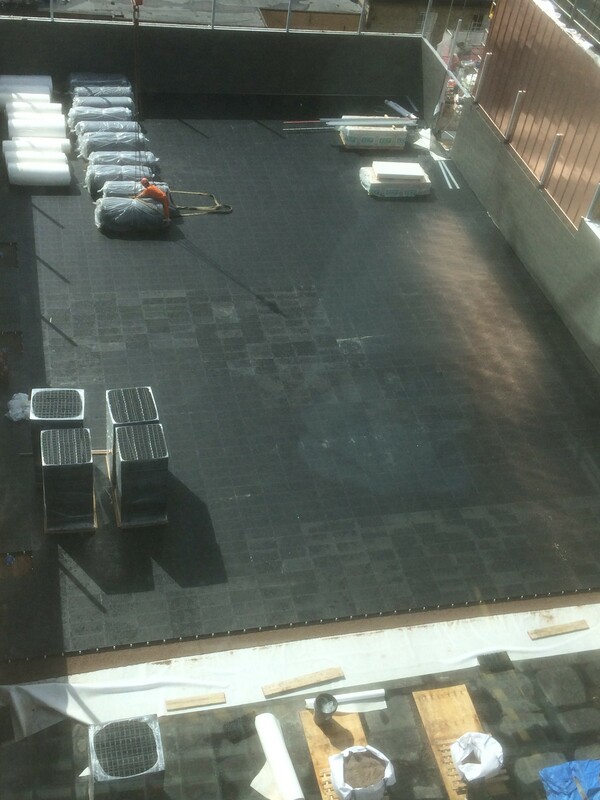 There was a total of 4 rainwater outlets located within the pitch area. These outlets were housed in SELSports fabricated access chambers with recessed manhole lids. 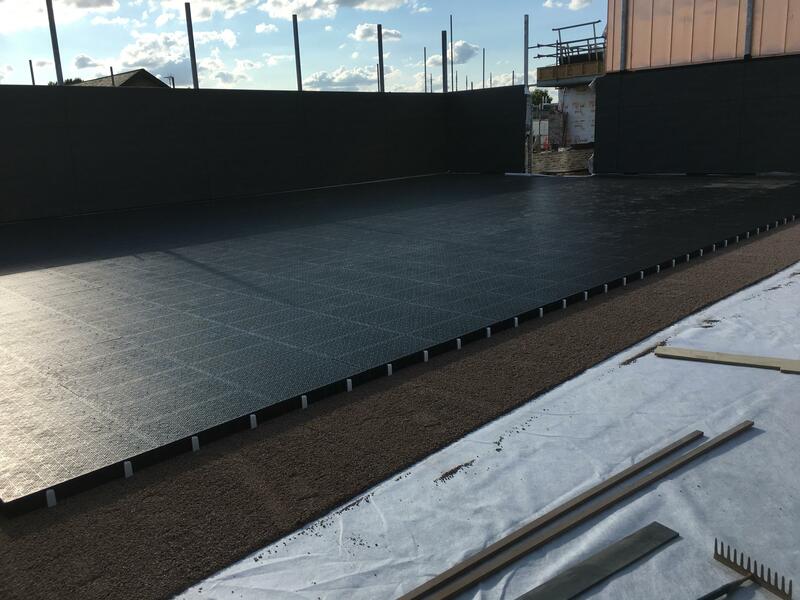 Using a wet pour shockpad, SELSports installed discreet and safe access chambers within the pitch area. 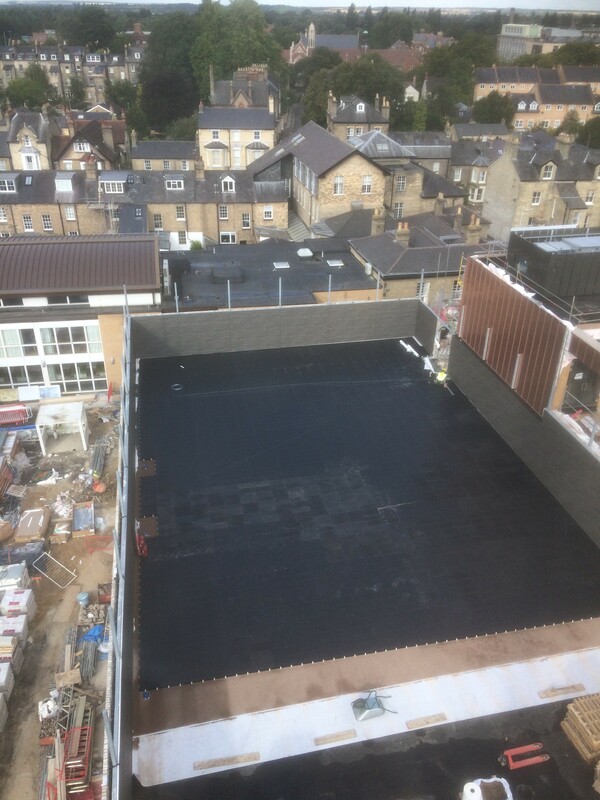 A prefabricated shockpad was installed directly on the drainage layer as part of the synthetic turf system, reducing point loading and providing a shock absorption layer. 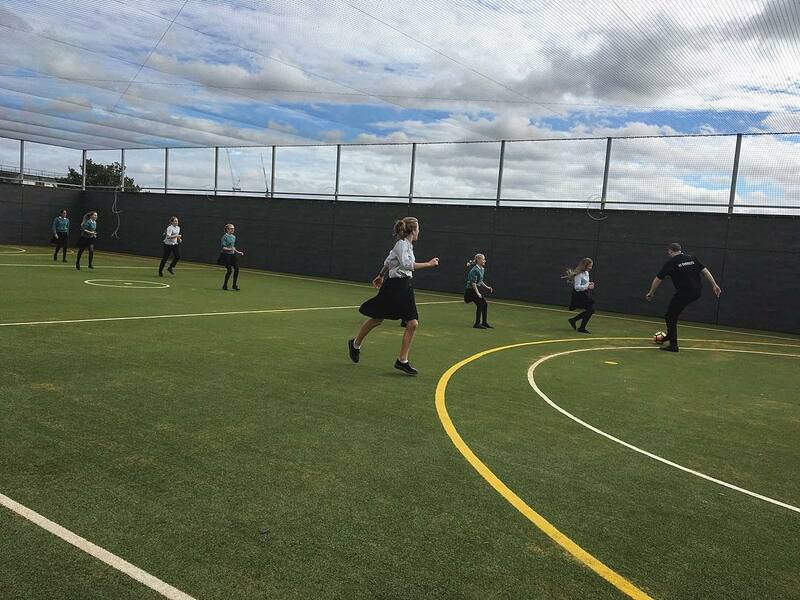 The system was finished off with a 20mm sand dressed synthetic grass with netball and 5-a-side football line markings. 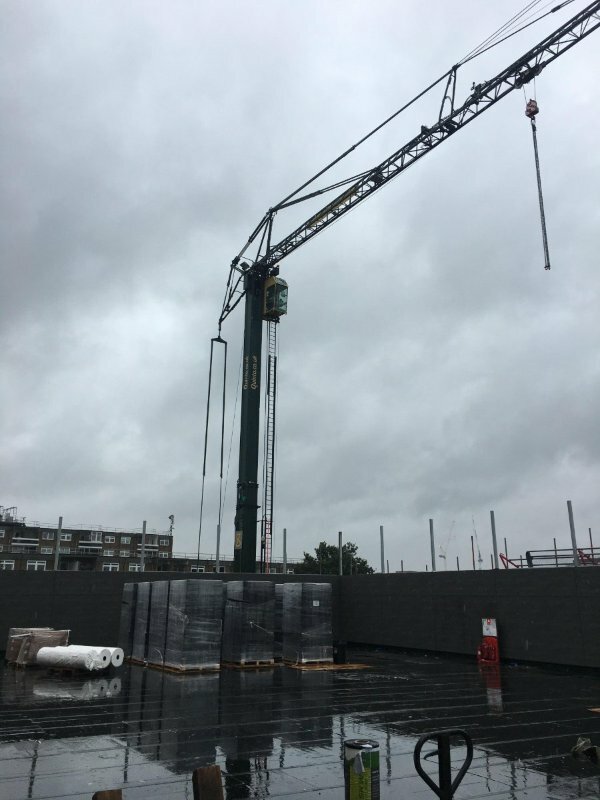 The ability to store large quantities of water within a shallow, lightweight pitch construction, significantly reduces the risk of flooding during heavy rainfall, and reduces the need for large water attenuation tanks at ground level.